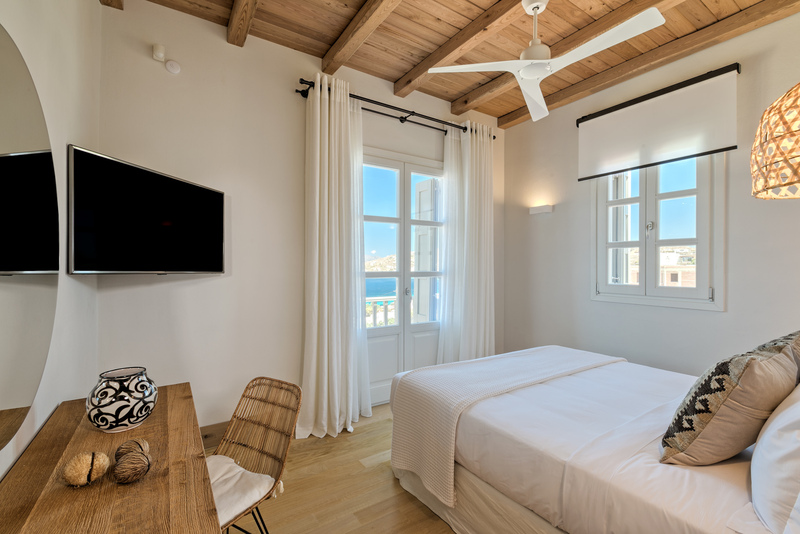 Villa Arion is a gorgeous newbuilt Villa in Aleomandra, Mykonos, which welcomes guests since July, 2018. The beautiful 350 sq. m. villa consists of 3 bedrooms and 1 guest house and streches on a 4,000 sq. m. plot which overlooks the Aegean Sea, with olives and other mediterranean plants. 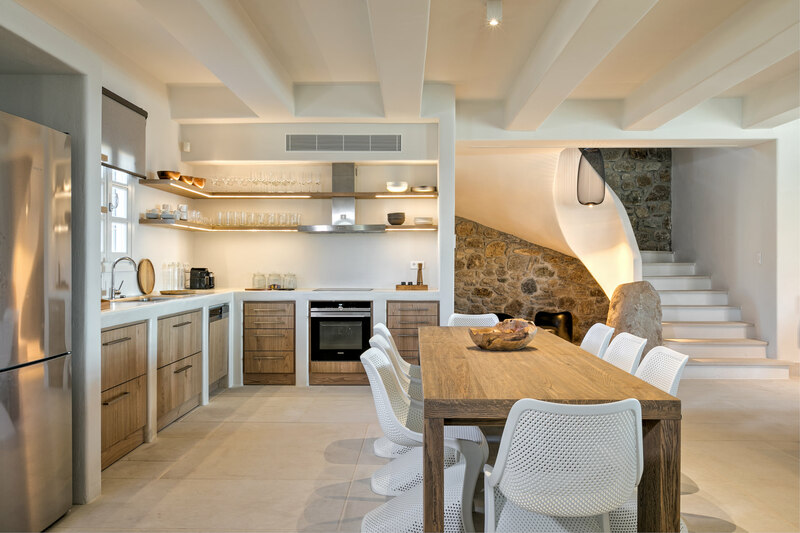 The stylish villa is a chic and unique property with spectacular views over the crystal clear Aegean waters. The impeccably designed, modern interior consists of the large living room, the kitchen and the dining area (open plan) and the 3 spacious en suite bedrooms with their private balconies. 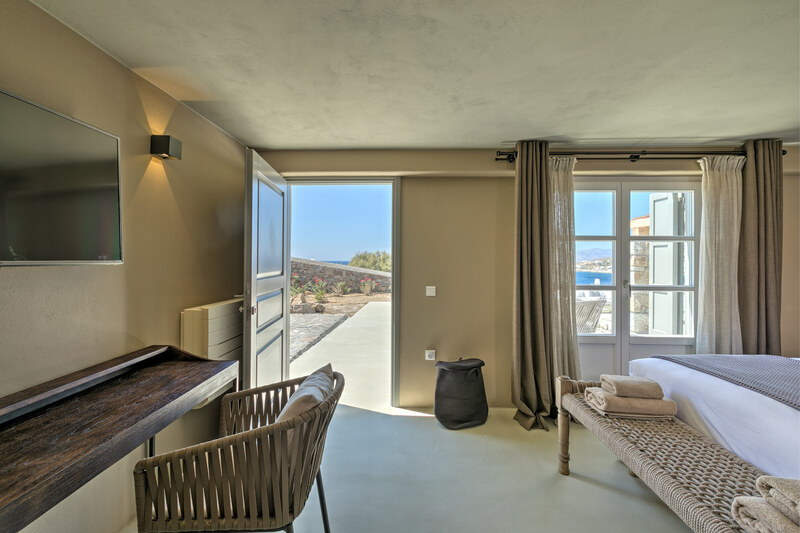 One additional en suite bedroom may be found in the guest house, which has a private entrance. 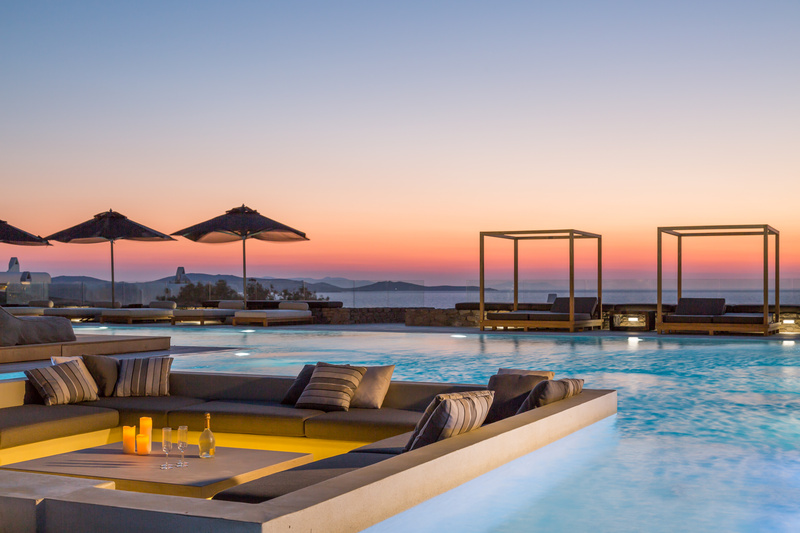 The vast outdoor area features the 25 m x 17 m pool, the exterior dining area, the BBQ and the pool bar, while guests may enjoy the sunset and spend their time in the lounge and sitting areas in and around the pool, which provide the perfect place to relax on a warm summer day.